Qdoba Mexican Grill is a fast-casual Mexican restaurant where anyone can enjoy a fresh, handcrafted meal. Guests are invited to create their entrée by hand-selecting flavorful ingredients. 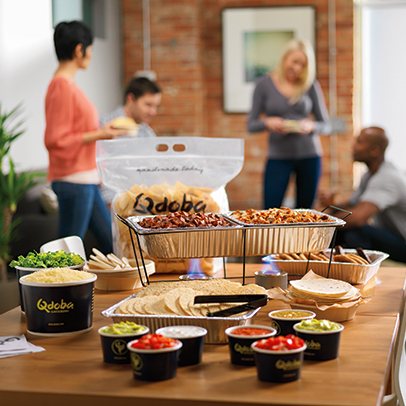 And Qdoba caters all of your events! From business meetings to weddings and graduation parties to game-day parties, we can meet all of your catering needs. Accessible from Pike St. and Green Street.